SUNDAY, Oct 7th • 8 am to 6 pm. 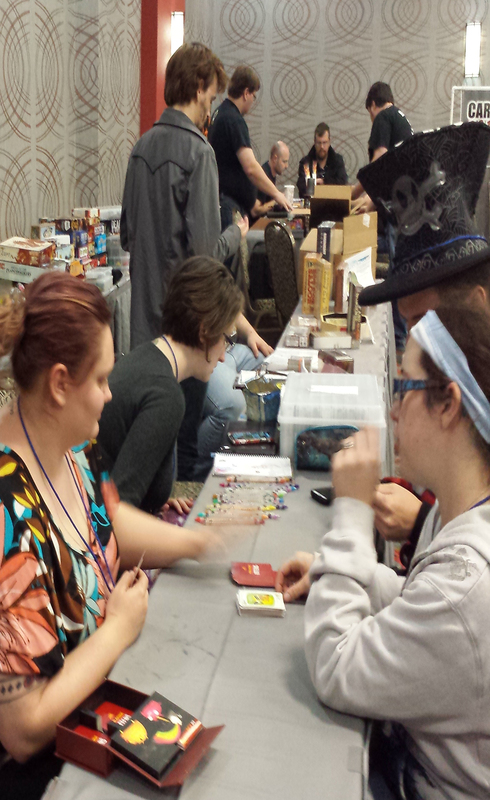 Free access to the TsunamiCon Marketplace, open gaming, panels, presentations, and scheduled entertainment. Access to the Event Registration to sign up for registered gaming events and/or list your own games. Free access to The Game Library. Free entry into the TsunamiCon Cosplay Contest. Access to Organized Play events such as D&D Adventurers League. Free entry into convention giveaways and contest events (requires weekend pass). Select tournaments and special events may require an entry fee. As always, we will be offering a selection of exclusive TsunamiCon merchandise, such as t-shirts with the TsunaniCon logo on the front, and event information and sponsors on the back. Hi! How do I get a VIG ticket for the Tsunamicon 2018? Thanks for asking! We are currently having a special advance ticket sale for VIGs only at a nice discount. You can purchase your tickets directly from our site. Please let me know if you have any questions!